Taming rutting and cracking in Thornton, Ill. The village of Thornton, Ill., is about 25 miles south of downtown Chicago and 4 miles west of the Illinois/Indiana border, situated with access to the Illinois Tri-State Tollway, Illinois Rte. 1 (Halsted Street) and I-80. The western portion of Thornton sits above 400-ft-deep sedimentary deposits of high-quality dolomite that have been mined since the mid-1830s. For nearly two centuries this location has supplied much of south Chicagoland and Indiana, and has evolved into one of the largest commercial stone quarries in the world. The volume of traffic and loading associated with operating this quarry have long created special demands on the pavements and intersections servicing the quarry to the north at Margaret and Williams Street. The Williams Street intersection sees an average daily traffic volume of nearly 9,900, of which 12% is comprised of truck traffic, much of it fully loaded semi tractors carrying dolomitic limestone from the quarry. This location was once notorious among local travelers for 8-in. ruts resulting from the heavy loads braking at the signalized intersection. The pavement at this location consisted of a thick and variable depth dense-graded hot-mix asphalt (HMA) over a 7-in. concrete base. Regular maintenance consisted of continual deposition of additional HMA to fill in the rutting as it developed. At one point, the curb-and-gutter lining the roadway was completely filled with HMA that had lifted and flipped into the gutter flag due to the frequent and heavy loading. This created drainage and maintenance problems, and made the road difficult to navigate. IDOT implemented full-depth SMA pavement rehabilitation to the intersection. In 1997, as part of a rehabilitation effort to renew the roadway wearing surface, the Illinois Department of Transportation (IDOT) decided the intersection pavement failures should be addressed. Concrete was ruled out, as it would have required staging challenges and lengthy delays associated with curing that would have impacted the quarry’s operations. The contractor, Gallagher Asphalt Corp. in Thornton, worked with IDOT to cut and evaluate a trench to determine the source of the rutting and condition of the concrete base below. The slab revealed that the vertical deformation in the wheel paths extended down more than 8 in. from the surface, while the concrete base below was in good shape. IDOT opted for a full-depth 10-in. stone matrix asphalt (SMA) replacement over the concrete pavement to address the failures and minimize the impact the work would have on local traffic. The new cross section at Williams Street would end up being comprised of 8 in. of 12.5-mm SMA base and 2 in. of 12.5-mm SMA surface using steel slag aggregate over the existing 7-in. concrete base. The slag aggregate was used to meet the agency’s friction requirement. Both asphalt mixtures were designed by Marshall method at 50 blows with the same effective AC content. The surface was 6.1% by weight of mixture. (By comparison, conventional dense-graded hot-mix surface is designed at about 5.2%). SMA, originally developed in Europe, is a gap-graded HMA designed to minimize deformation under load by using an internal structure of stone-on-stone contact. 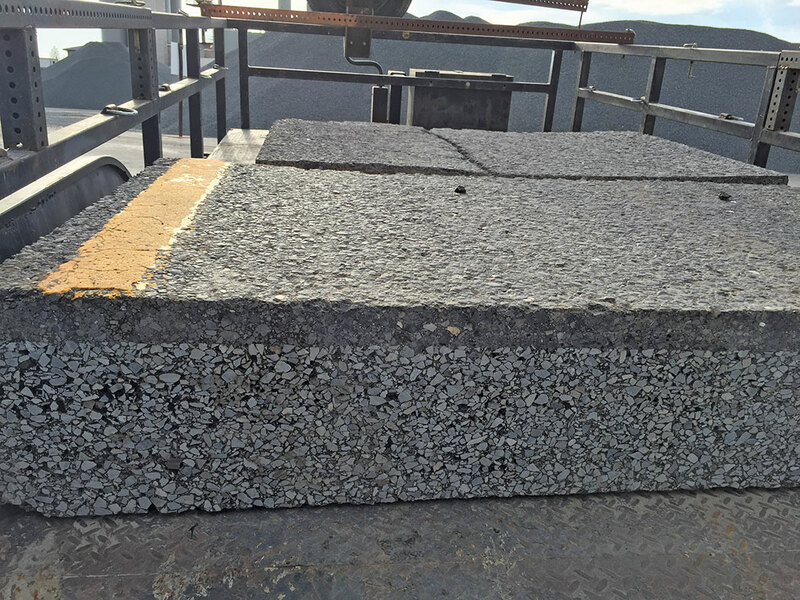 Because of this stone-on-stone contact, rut resistance comes from the aggregate rather than the stiffness of the asphalt binder and finer aggregates. SMA mixtures come at a premium, as they generally require higher and modified asphalt content (in this case MAC-20), and added mineral filler and cellulose fiber to keep the asphalt from migrating during storage and placement. In this case, IDOT hoped it would be a cost-effective option to deal with the distresses at the intersection due to its rut resistance and high durability. 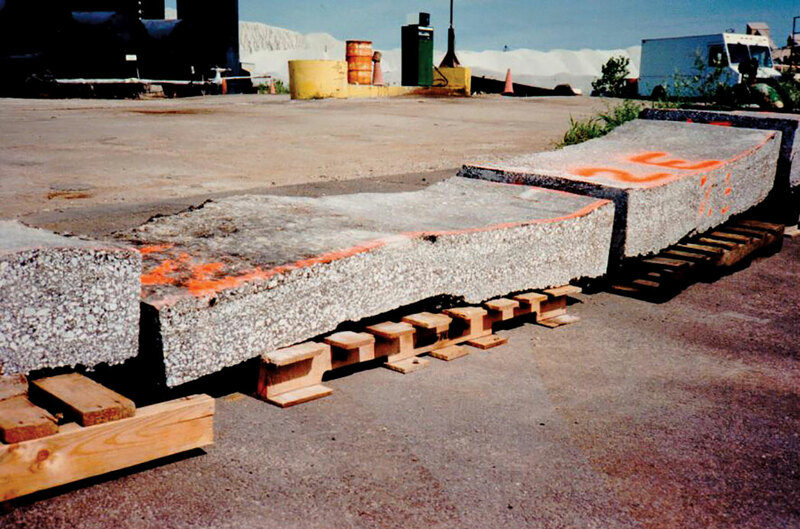 Neither mix contained recycled materials, although IDOT’s use of recycled pavement and recycled asphalt shingles has grown to as much as 30% asphalt binder replacement over the last 20 years. The road into the quarry at Williams Street in Thornton, showing minimal rutting and cracking after 20 years since initial paving work. 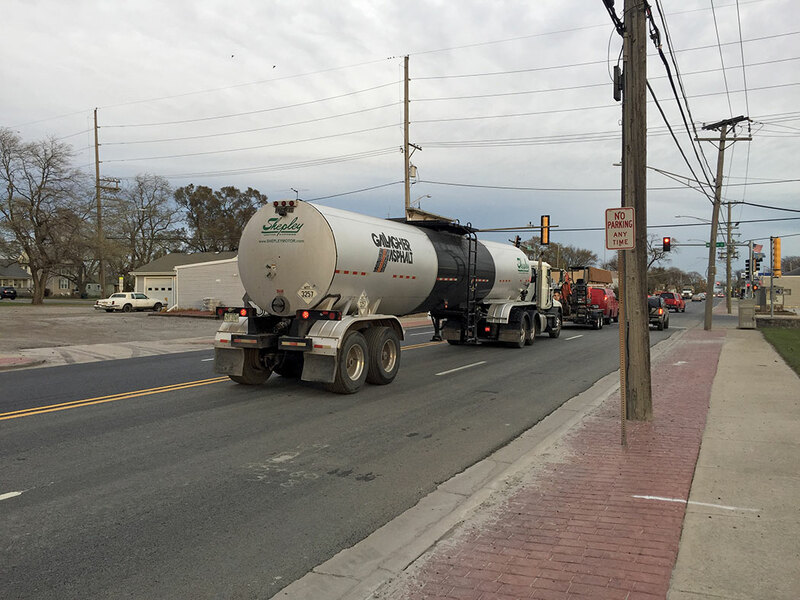 Twenty years and 20.7 million equivalent single-axle loads later, IDOT’s program included a rehabilitation effort to renew the riding surface of the roadway at this location in 2017. The intersection, which had once been so problematic, had fared well during this time with negligible rutting and required very little maintenance work. Cracking was minimal, and after 20 years of heavy loading, the wheel-lane depressions approaching the intersection were no more than 1⁄8 in. With the rehabilitation work of 2017 approaching, IDOT wanted to take a closer look at this location to learn why the treatment at this intersection was so successful. Naturally, an evaluation of the mixtures placed was in order. Gallagher Asphalt Corp. was again the contractor awarded the rehabilitation contract. Much had changed throughout the 20 years this pavement had been in place. Marshall method was replaced by the Strategic Highway Research Program (SHRP) Superpave methods, and performance grading (PG) of asphalt had been put into practice. In Illinois, the Hamburg rutting test had been implemented, and IDOT had been developing a new cracking test protocol (the Illinois Flexibility Index Test) in hopes of improving HMA cracking resistance. Work began in the fall of 2017. As was done in 1996, an exploration trench was cut for comparison. This slab told a different story than the cross section cut so many years ago. The project also created the perfect opportunity to core the roadway to evaluate a section of pavement known to be a good performer with respect to deformation and crack resistance and test it according to protocols that did not exist at the time of original placement—protocols hoped to be indicative of future performance. IDOT is hopeful that by implementing a loaded-wheel test in the Hamburg test as well as a crack-resistance test in the I-FIT test, a balanced mix design approach could be used for mix testing and acceptance by the agency. Core samples culled from the pavement cross section on Williams Street should demonstrate test results that would be indicative of a good-performing mixture for both rut resistance and cracking, after considering exposure to loading and the elements over the years. The pavement experienced practically no rutting after 20 years of service. 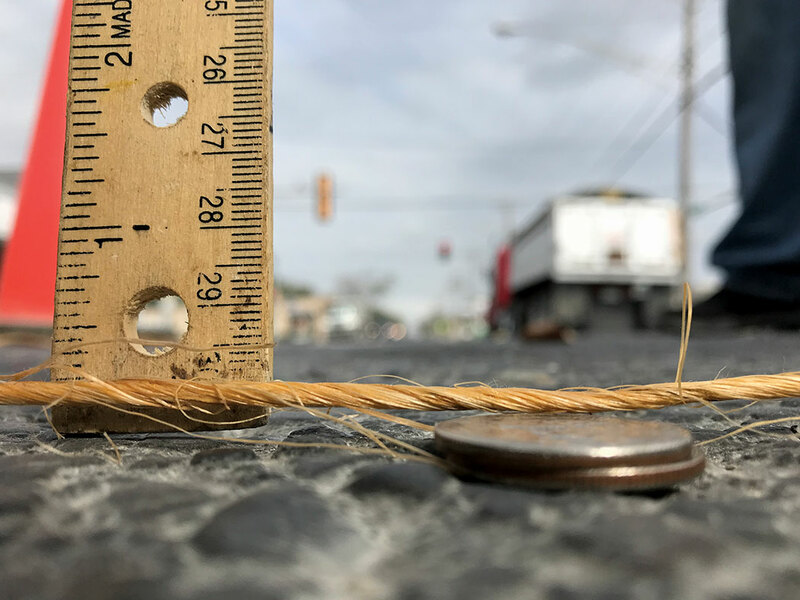 Six-inch core samples were taken in accordance with Illinois Test Procedure (ITP) 405, Illinois Modified AASHTO T324, Illinois Modified AASHTO T164, Illinois Modified AASHTO T166 and Illinois Modified AASHTO T209. Core locations were selected in wheel lanes at areas in proximity to the stop bar at the intersection as well as in areas away from the intersection. Each core consisted of a surface lift on top of three additional base or intermediate lifts. A set of data for each location was produced from I-FIT, Hamburg Wheel Track, AC content determination and density testing. Additional 4-in. cores were sampled for extraction under Illinois Modified AASHTO T164, Illinois Modified AASHTO T283, Illinois Modified AASHTO T166, Illinois Modified AASHTO T245 and Illinois Modified AASHTO T209. Again, the surface and base lifts were separated for testing. Not surprisingly, both the surface and base lifts away from the intersection were measured at 96% relative density. The samples at the intersection (1⁄8 in.) were a little higher, with the surface measuring 97% and the base measuring 98%. This is a good indication, in the absence of significant rutting over time, that the objective of stone-on-stone contact was achieved during placement. In addition, all core samples were tested under the Hamburg loaded-wheel test to the standard 20,000 cycles. In each case, the testing showed minimal deformation of less than 2 mm. The base and surface lifts away from the intersection were measurably, but not significantly, more than the area tested at the intersection in both the surface and base lifts. These results from the in-place mix are consistent with what is expected with an SMA mixture with stone-on-stone contact carrying the load. Core samples culled from the pavement on Williams Street should demonstrate test results that would be indicative of a good-performing mixture for both rut resistance and cracking. Asphalt was recovered from the mix for PG grading. Base-lift testing was found to be typical of an SBS PG 76-22 binder while surface-lift results were typical of an SBS PG 82-22. Both lifts indicated typical polymer loading levels when evaluated using infrared spectroscopy, consistent with the original grade of modified AC20 (which likely would have been graded at 70-28) used at the time of construction. The asphalt cement in the surface lift showed more hardening is to be expected from exposure. The underlying lifts of base course showed significantly less. Flexibility Index testing showed an average of 4.5 for the surface lifts in both locations, suggesting that this mixture was likely well above the current target of 8 at the time of placement. HMA mixtures are expected to lose some flexibility and resistance to cracking over time, and it should be noted that these values follow 20 years of oxidation and exposure to sunlight. 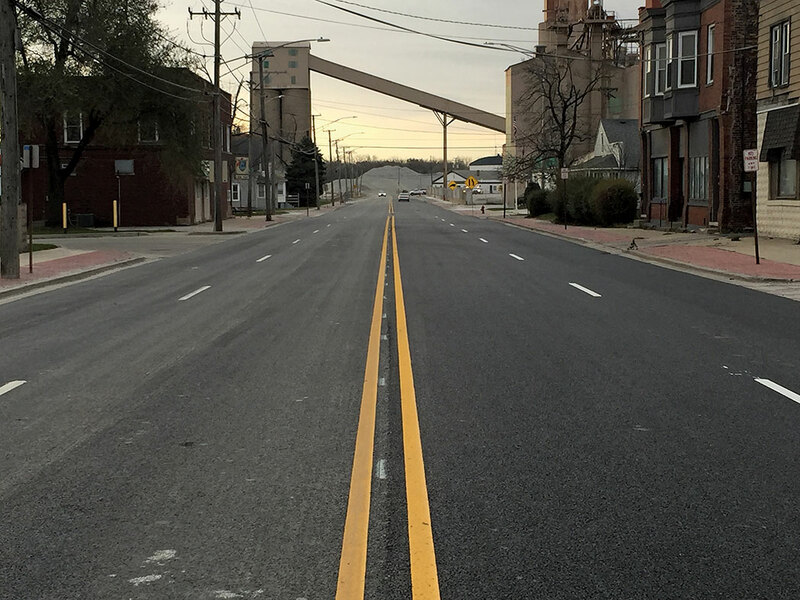 The work on Williams Street in Thornton, and the testing performed 20 years later, demonstrated that quality production and placement practices by Gallagher Asphalt Corp. went a long way to ensure pavement performance over time, and that the selection of the approach by IDOT was the right one. The testing completed on the mix after 20 years demonstrated that excellent performance in this application went hand-in-hand with both rutting- and crack-resistance potential. It is this balanced approach that should be considered when specifying and designing mixes in the future to ensure excellent long-term performance. The road leading into the intersection held up against regular heavy truck traffic for 20 years. Houston is an Illinois Department of Transportation district materials engineer. Dahhan is with the Chicago Testing Lab, Warrenville, Ill.